Hello everyone and welcome to this weeks CYCI challenge. This week we have an awesome color challenge, I just love black, white, red and kraft together, don't you?! What a perfect week to work on some valentines! This week I'm featuring these dies I got from the SugarPea Designs new release, I absolutely love them! Great quality and such a fun product to work with. Pics below are linked right to the shop if you'd like to check them out. In addition, I used the cross stitched circle by MFT and once again the Femme Frames by MamaElephant. Thanks for stopping by, please leave a comment to let me know you were here! Click Here to Play the CYCI#105 Challenge! 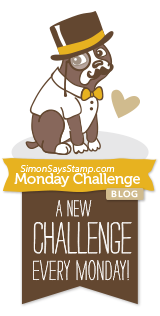 CYCI#104 Sketch Challenge - Play Along! I cut my own cloud pattern out of cardstock and sponged in the sky, added some tiny hearts and heat embossed the sentiment in white using SSS ink. Can You Case It - Sketch Challenge #104 - Click Here to Play Along! Thanks for joining me, I hope you'll play along with us!!! 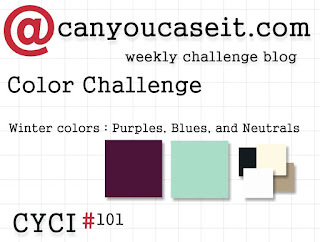 Hello everyone, welcome to a new week over at CYCI#103 color challenge Black and White! It also happens to be the 3 year anniversary for CYCI, so I hope you'll join in and link up all your gorgeous black and white creations! Now, if you look through my blog history, you won't see many (or any) black and white cards. I'm a big fan of color. However, while I was making this card, I actually started really having fun with it. I wanted to feature this very elegant "Sympathy" die by Gina Marie Designs and as it turns out, black and white worked perfectly. These trees with a little glitter in them by Stampin Up worked perfectly as my scene. I also used a background stripe stamp for bottom layer and Hero Arts Chalkboard background stamp on layer behind oval. Doodlebug Black pearls too! Here it is January and I'm already making Christmas cards for next year! Truth is, I wanted to play around with the pine needle die by Gina Marie Designs, and this super gorgeous ball jar stamp by Unity Stamp Company just seemed like the perfect image to go with it! I used Red Hot CS by MFT, Gold CS by MFT and some pattern paper by Echo Park as the base. I cut the patterned paper out using a stitched rectangle by Gina Marie Designs and then lightly hit the edges with a little distress ink. I stamped the ball jar from the Unity Oct 2013 set and the JOY stamp is from their Oct 2013 SMAK kit! I copic colored the jar and heat embossed the JOY stamp in gold and popped it up. Hello everyone and welcome to OSAT Blog Hop - No Rules New Year! You should have arrived here from the blog of Maria Willis, I'm sure you enjoyed her beautiful projects this month! So now onto what I've made to show you! I'm featuring a die set by Gina Marie Designs for both my card and matching tag. This heron with cattails die set is absolutely gorgeous! I had so much fun inking up the sky, sun and water using my distress inks. The sentiment and banner is from Simon Says Stamp. It's a good idea when cutting out these fun little shapes, to cut extra and make matching tags. I whipped up the matching tag in under 5 minutes, you can't beat that! Here's a link to Gina's shop! Thanks for stopping by, click on the "next" button here to advance to Melissa Davies blog!! 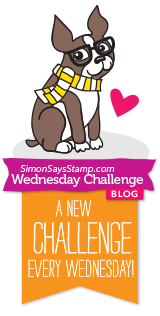 CYCI #102 - Sketch Challenge - Be Inspired! Hello everyone and welcome to Can You Case It #102 Sketch Challenge! 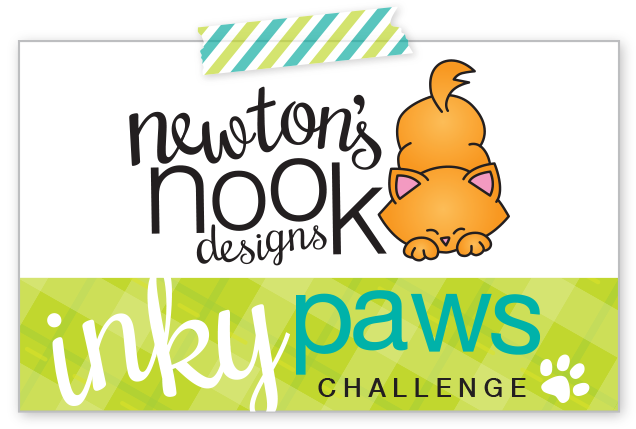 Ok, I'm going to admit I absolutely love sketch challenges, especially when my crafty mojo is taking a nap. I think I've been a little slow coming back from an awesome holiday vacation! So who's with me? Let's get into our studio spaces and create!!! I actually colored up this gorgeous image while I was visiting my cousin Linda up in Wisconsin over the holidays. We had so much fun, we spend all our time talking, laughing and crafting in the short time we have together. I wish we lived closer! Click Here to Play #102 Sketch Challenge!!! Hi everyone, I'm super excited to be starting 2016 on the Design Team over at CanYouCaseIt! I am looking forward to working with this talented group of paper crafters and having you join me in the weekly challenges! I just had to color up this gorgeous image by Unity! Maria Girl was the first stamp I thought of when I saw the gorgeous winter colors in this challenge! 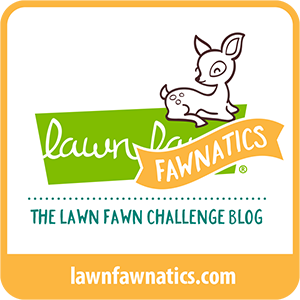 I hope you'll play along with this week's challenge, I cannot wait to see what you create!